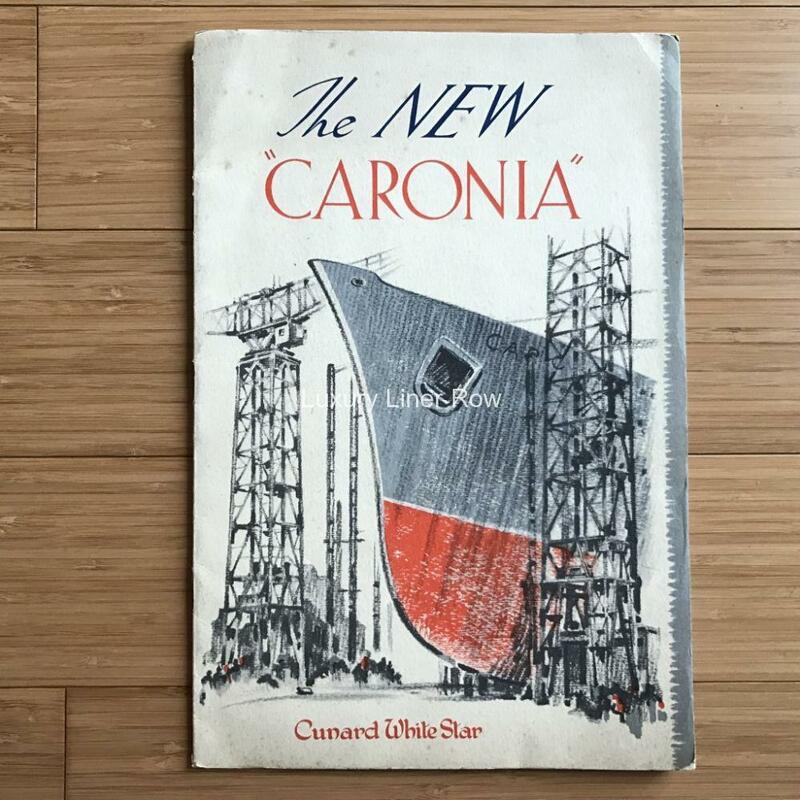 Not-often-seen brochure produced for the launch of the largest ship built anywhere since the end of WWII, Cunard’s incomparable Green Goddess, Caronia. 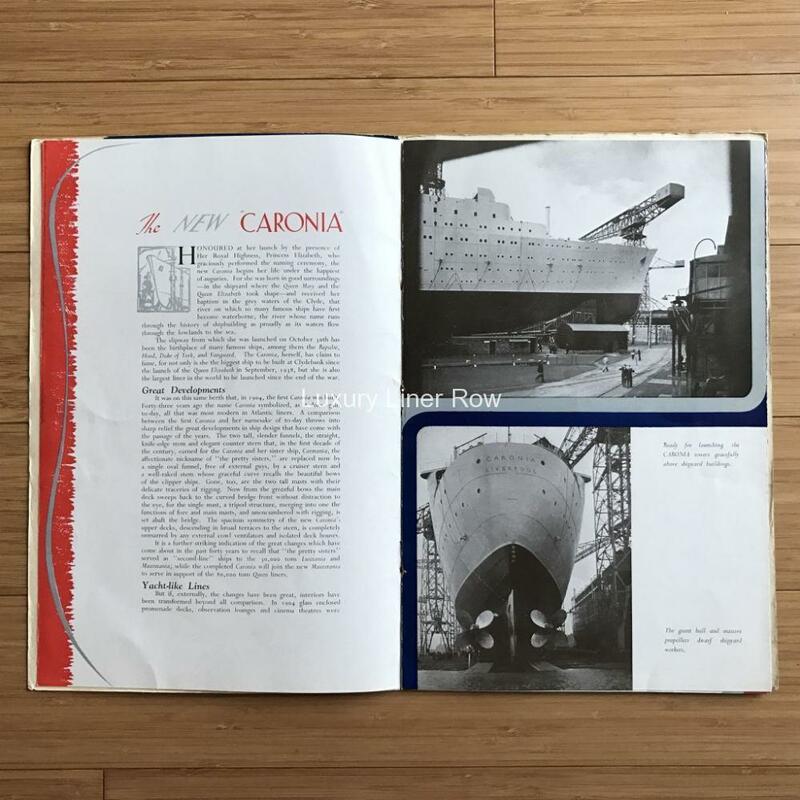 Because of post-war rationing, promotional materials were not produced on the scale seen before the war, making this harder to find that those for the Queens. Eight pages, including a center double foldout. In very good condition! You all know how much I love Caronia, and I suspect many of you out there do too.